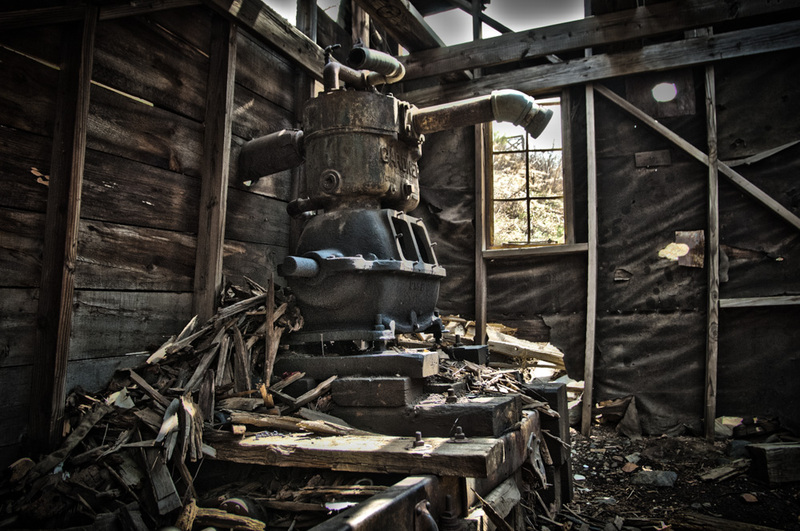 A derelict diesel engine inside an engine room of an abandoned mine near Golden, CO. My guess is this structure and mine dates from the early 50’s when Golden went through it’s second boom and gold rush after WWII. Many of the original mines in the mountains above golden from the 1860’s have turned to dust. Actually, this is an air compressor. Your other photo of it includes the engine that powered this machine. Gardner merged with Denver Drill Co. to form Gardner-Denver in 1927 so this compressor predates the second boom. I like your photo compositions even though it is sad to see the equipment in such a derelict state.